Our AWARD WINNING Pre-Owned department holds the largest selection of MAZDA CERTIFIED PRE-OWNED vehicles in the Guelph Auto Mall. Each and every vehicle includes the PREMIUM GUELPH CITY MAZDA EXPERIENCE. Come in and see why it certainly is worth the drive to Guelph. 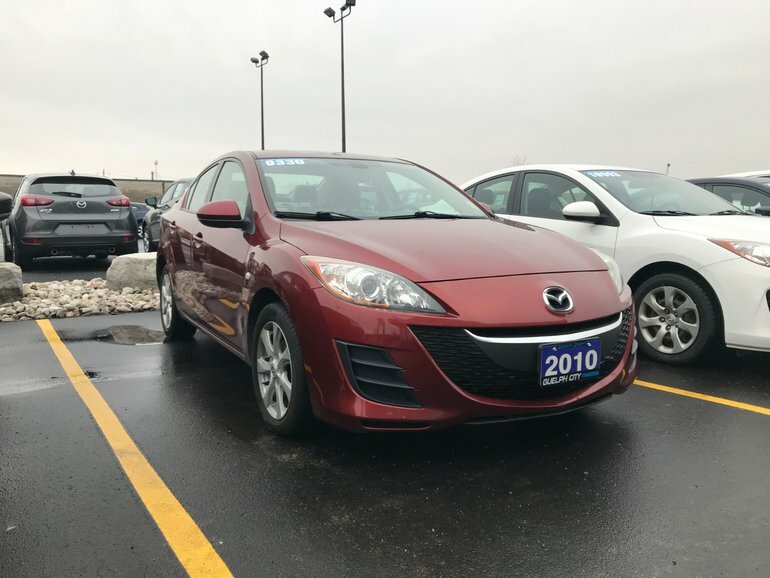 We specialize in Pre-Owned Mazda’s but when we find meticulously maintained beautiful MUST SEE vehicle in any make or model we hold on to them. If that is what you are looking for; LOOK NO FURTHER. We put our vehicles through a meticulous 160 point inspection along with our exclusive pre-owned storybook (Where it's from, safety report disclosure, car proof history disclosure) providing you complete peace of mind with your purchase. Interested by the 2010 Mazda Mazda3 GS at ?